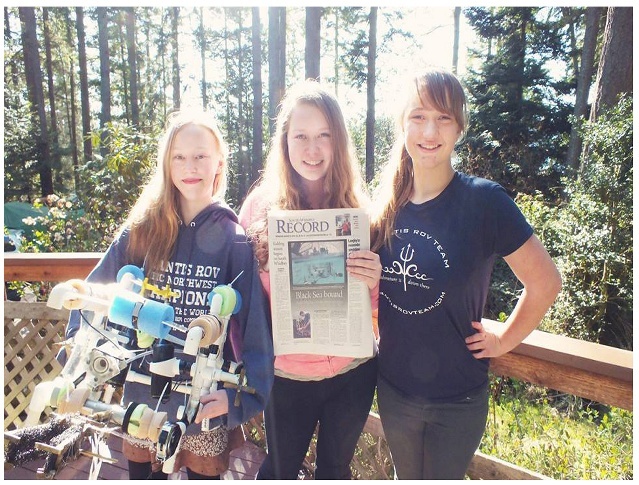 Profiled in the Seattle Times, the Washington Post, and featured speakers at numerous conferences, we've recently shifted our focus from competing to making a difference in our world, for our generation & all those after it. Robotics has taught us so much more than circuitry, propeller design, or hydraulic testing. Over the years, we have learned so much about teamwork, creative problem solving, critical thinking, perseverance, and, most importantly, that everyone has the ability (and obligation) to take action and have impact.